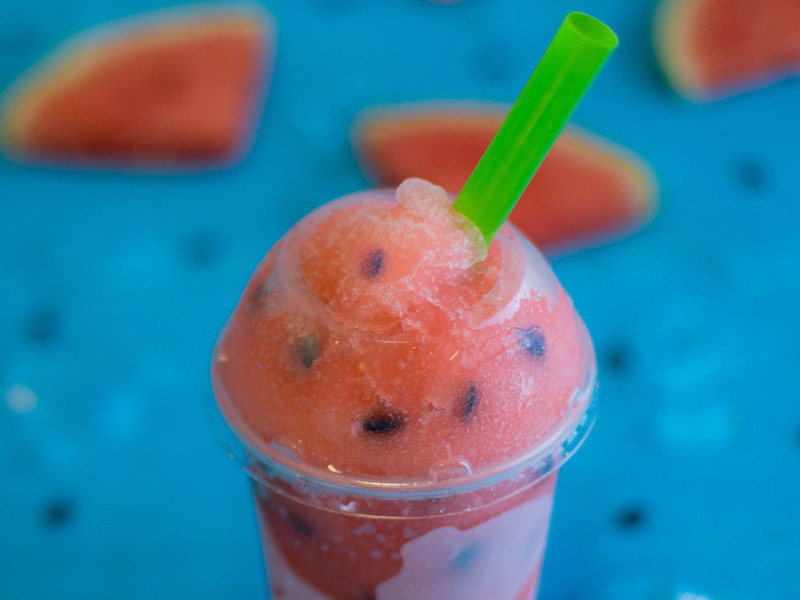 Taco Bell’s fan-favorite “Watermelon Freeze” is returning to stores just in time for summer. The watermelon-flavored slushy comes with black candy “seeds” that you can eat. For a limited time, the Watermelon Freeze is available at participating locations for $2.39. The ice-cold beverage is also part of Taco Bell’s “Happier Hour” promotion in which customers can order any regular drink or Freeze for $1 between 2 p.m. and 5 p.m. daily. Taco Bell is bringing back its seasonal watermelon-flavored slushy drink. For a limited time only, the fast-food chain will offer the Watermelon Freeze at participating locations nationwide. The ice-cold beverage, which first made its debut last summer, comes with black candies that are meant to look like watermelon seeds mixed in. The “seeds” are completely edible, but Taco Bell warns that they could be a choking hazard and that the slushy is best suited for anyone above the age of 4. A regular-sized Watermelon Freeze has 220 calories per serving and costs $2.39, while the large size has 270 calories and costs an extra $0.20. In addition, Taco Bell’s “Happier Hour” promotion between 2 p.m. and 5 p.m. daily offers customers any regular drink or Freeze, including the Watermelon Freeze, for just $1 each.